The 2016 Chair report is available from here. The 2017 committee elect is available from here. Draft minutes are available from the minutes page, note that they will only become confirmed at the 2017 AGM. New Zealand is working hard to diversify its economic base. As part of this effort universities are offering courses in topics such as innovation and entrepreneurship. Are these topics that can be taught? Perhaps it is better to provide a fertile platform that encourages the development of natural talent. This talk will use examples from the development of the IT industry to explore the requirements for encouraging new technological industries. A brief report on this conference is available from this link. The conference was technically co-sponsored by this Section. This conference is held annually and comes to New Zealand every third year. This is the 4th time that it has been held in NZ and the first time it has been held in Dunedin. Despite somewhat changeable weather conditions in Dunedin during the conference, the action inside the conference venue was hot with fine weather! Approximately 87 delegates attended and presented 57 papers over the three days of the conference. The technical papers were presented in two parallel sessions and each of the three days featured one academic Keynote Speaker and one Industry Speaker. Extra-curricula activities on Thursday 8th included a bus tour of Dunedin city and a visit to a historic homestead (Olveston Historic House) and views of Dunedin from Signal Hill as well as an enjoyable conference dinner at the Otago Museum. The conference was sponsored by the IEEE and technically sponsored by the IEEE Computer Society. Local NZ industries were well represented and established display stands to exhibit their products and services. Overall the conference was judged by the delegates to have been a huge success. Next year the conference will be hosted by RMIT in Melbourne, Australia. 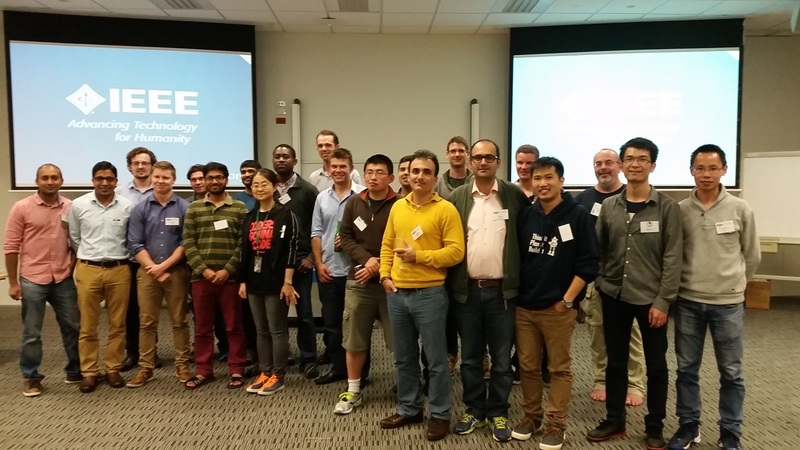 The IEEE New Zealand Wireless Workshop is NZâ€™s premier wireless workshop and brings together industry professionals, start-ups, academics, research institutes and post graduate students for one day to discuss technologies and issues of interest to the wireless community in NZ. The day consists of a series of presentations from participants with a lot of opportunity for informal discussions and networking. A flyer for this event is available from here. Date: Friday February 12th, 2016. Abstract: Sustainability of electric power systems requires balancing the business across three areas: economic, social and environmental. This will have a profound impact on how power systems will be planned, built and operated in the future. In the evolving electricity supply industry environment, the challenges are to produce, transmit, and use energy in an environmentally friendly manner, to reduce costs by improving equipment performance, operating efficiency and business practices, and enhance the reliability and quality of power supply. In particular, there will be increased focus on improving the security and reliability of power systems while addressing environmental concerns, such as greenhouse gas emissions and global warming issues. There will also be greater emphasis on â€œsmartâ€� management and use of energy. Research, development and application of intelligent systems technologies will play a major role in shaping the future directions of power systems in this regard. This presentation described these changes affecting the electric power industry and highlighted the role of â€œSmart Gridâ€� technologies in influencing the changes. A copy of this abstract and a brief biography for Dr Prabha Kundur is located here. Note: Dr Kindur has kindly consented to provide copies of this talk and some information about the IEEE Smart village mentioned during the talk. Follow the attached links, please note some of the files are relatively large. Title: Where to next? Human spaceflight at the crossroads. NASAâ€™s long-term vision is for a human mission to Mars, but its strategy for getting there is flawed, as it does not include the most logical intermediate step: a return to the Moon. Instead, NASAâ€™s proposed intermediate step is to retrieve a large boulder from an asteroid and send an astronaut crew out to investigate it â€“ a plan that is not getting much support from either Congress or the scientific community. A return to the Moon would be a better way to prepare for a journey to Mars, as much of the technology needed for a Mars mission, such as habitats, life-support systems, rovers, tools and instruments, could be first proven under real off-world conditions on the Moon. In addition, recent robotic missions have shown the Moon to be a worthwhile scientific target in its own right. 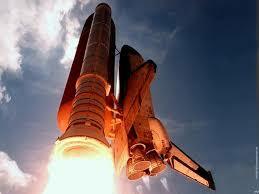 David MacLennan has been lecturing and writing about space exploration for over four decades. A founder and former President of the NZ Spaceflight Association, he also edited the Associationâ€™s journal Liftoff for many years. The Wellington Engineering and Science Festival 2016 Lecture Series was successfully kicked off on 19th April at the National Library. Mr David MacLennan, founder and former President of the NZ Spaceflight Association was invited to give his favorite presentation on Where to next? 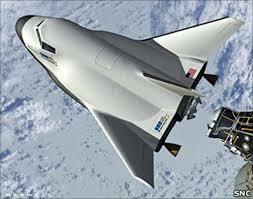 Human spaceflight at the crossroads. The opening lecture attracted more than 80 professionals and students (120 people were registered). 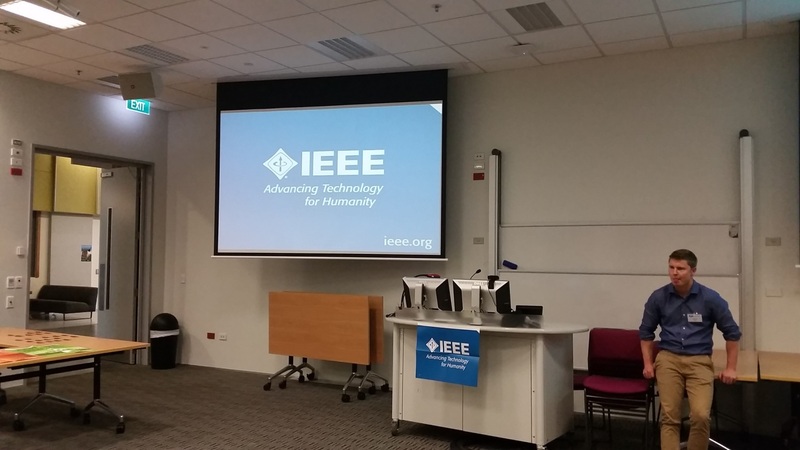 The Festival event was organised through the initial collaboration of IET Wellington Network, IPENZ Wellington Branch, IEEE Central Network, RSNZ Wellington Branch and WAS. More details about future lectures will be coming soon. Audience listens intently to the special presentation by Mr David MacLennan. PURPOSE: The purpose of this workshop was to provide New Zealand based researchers, scientists and engineers a forum to present their latest research findings and participate in discussions in an informal setting. This forum provided an ideal opportunity for students to receive and contribute up-to-date knowledge of technology, applications and solutions. Industry representatives were welcomed to participate as well as exhibit products. Full details can be found on the promotional flyer and call for papers for this event using the following link. The 2016 IEEE Instrument and Measurement Societies workshop was held at Lincoln University and hosted by Lincoln Agritech, on the 18th April. The theme of the workshop was â€œSmart Sensors, measurements and Instrumentation for Agriculture for Agricultural and Environmental and Industrial Monitoringâ€� with presentations covering topics from fruit condition to image processing to radar. The high quality of presentations and enthusiasm of participants led to lively and productive discussion which benefited all present. 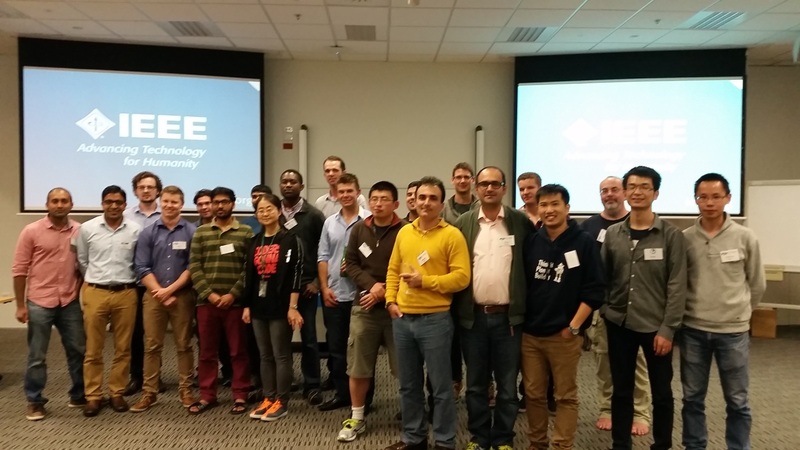 This was an informal social event aimed at connecting young engineers (under the age of 30) from industry practising in any of the IEEE fields of interest to graduate students of the IEEE NZ Central Section. 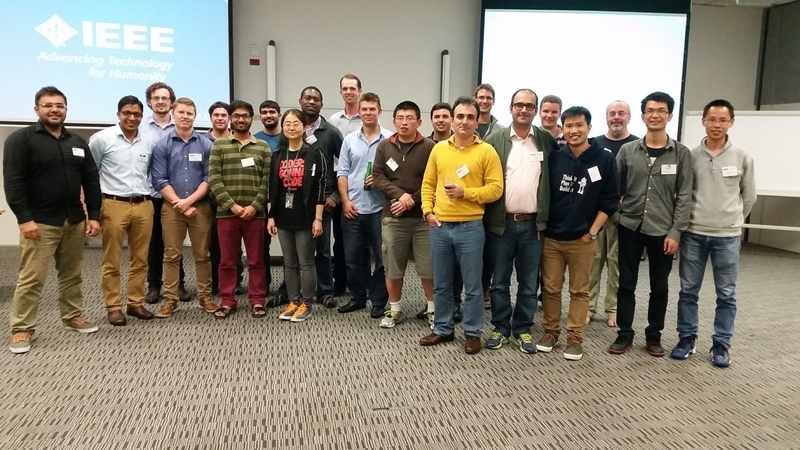 The event encouraged networking and collaboration between the Student and Young Professionals in the greater Wellington area and proved extremely useful to the graduate students who wish to seek employment in any of the IEEE fields of practice upon completion of their graduate studies. The event was also aimed at increasing the Student and Young Professional membership count, as it presented an ideal opportunity for those not aware of the IEEE and its practices. 13 students and 7 industry professionals attended the event. Here are some snapshots taken at the event. Title: "From ORCS to AZURE"
Cost: $15.00 for members of any of the three hosting institutions, $25.00 for guests. All members and guests of the IEEE Central Section, IET Wellington Network and IPENZ Wellington Branch are welcomed to this special event, hosted by all three institutions on the morning of 27 September 2016 in Central Wellington. The guest speaker for this event is Scott Houston, ex CTO of Weta Digital and more recently founder and CEO of GreenButton, who will speak on the topic of â€œFrom ORCS to AZUREâ€� from a CTO, CEO and entrepreneur perspective. Scott Houston was the Founder and CEO of GreenButton, an award winning global cloud computing software company. GreenButton was acquired by Microsoft in May 2014 and Scott now works with other Hi-Tech companies that are expanding offshore. During his time at GreenButton the company won many accolades including NZ Emerging Hi Tech Company of the year, Fastest Growing Tech Company in the Deloitte Fast 500 and a number of Innovation awards. Scott was also a finalist in the E & Y Entrepreneur of the Year awards in 2012 and named an "Innovation Hero" by the Innovation Council in 2015. Previous to his time at GreenButton Scott was the NZ Regional Manager for Silicon Graphics, Chief Technical Officer at Weta Digital for the "Lord of the Rings" movies and Founder of the New Zealand Supercomputing Center. 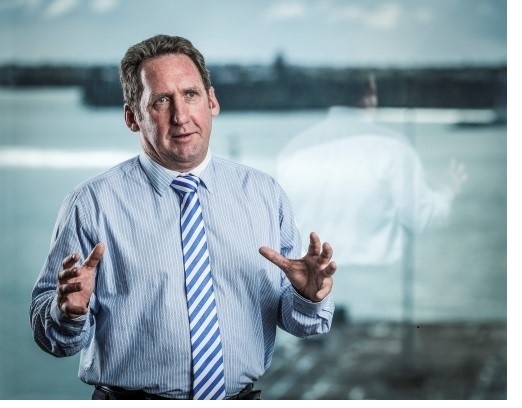 Scott now sits of the board of Nyriad, LINQ - a Wellington based software company, ARANZ Geo - a Christchurch based geological software mining company, the Wellington ICT Grad School and he is a NZTE Beachheads Advisor. Scott Houston will talk about his journey from being the Chief Technology Officer at Weta Digital during the Lord of the Rings trilogy, to founding a start-up company here in Wellington and through to being acquired by Microsoft in 2014. GreenButton was the first company in Australasia to be acquired by Microsoft and is a great example of Wellingtonians being at the forefront of technology on the worldâ€™s stage. This event was well attended and a very entertaining talk was presented by our guest speaker, Scott Houston. We learned that to be a great entrepreneur "you look the buyer of your ideas and company straight in the eye and think of the biggest number you can for the sale price"!!! As part of the IEEE New Zealand Central Section, the IEEE Student Branch at Victoria University of Wellington was pleased to announce its annual joint Post-Graduate Student Presentation Event. This one day event showcased the post-graduate student research from Victoria University of Wellington and Massey University, Palmerston North, in any of the IEEE fields of interest. The event provided post-graduate students with the opportunity to present their research and, in return, obtain a free IEEE student membership for 1 calendar year, as well as presenting networking opportunities with other fellow-students and peers. Each student presentation will be time-limited to approximately 10 minutes with questions and discussions. Prizes for the best presentations were awarded, with food and refreshments were available to all participants. Full details of this event with a a photo album can be found on the Student Branch page. Where: Cotton Club, Cotton 350, Victoria University of Wellington. Abstract: Wind power production is undergoing rapid growth due to increased interest in green energy generation. This has resulted in an increase in the number of wind turbines (WTs) in areas that are more lightning prone and have higher soil resistivity. As a result, damage to the electrical and electronic systems inside WTs due to lightning strikes has increased. Lightning related damages to WTs vary from direct effects of burning to overvoltage and overcurrent, and electromagnetic interference due to indirect effects. When a lightning strikes at WT, lightning current flows through down conductors of blades, nacelle, hub and then to the tower to the grounding system. As a result of this, there are overvoltages generated due to conductive effect and radiative effects of electromagnetic fields that can lead to malfunctioning of the internal systems within and outside the WT. The purpose of this talk is to carry out the analysis of the damage caused by lightning strikes to wind turbines and to design effective lightning protection systems extending the existing protection schemes. Issues with lightning strikes to WTs will be identified regarding electrical and electronic systems operating at 230 V and below voltage ratings of low-voltage systems. This research pays particular attention to the protection of the low-voltage devices in a WT and aims to reduce the failures by improving lightning protection systems design. Follow this link in order to obtain a brief report on this conference from the FPT 2015 General Chair, Professor Donald Bailey. Where: Meridian Energy, 33 Custom House Quay, Wellington. Abstract: Jonathan Sykes is visiting NZ as an IEEE PES Representative and will be delivering a Keynote speech at EEA 2016 Conference. This talk will be an abridged version of his Keynote speech which he kindly accepted to deliver for the local power industry. Biography: Jonathan Sykes (SM) is Manager of System Protection at Pacific Gas and Electric Company in Oakland California. Jonathan graduated from the University of Arizona in 1982, is a Professionally Licensed Electrical Engineer, and has 30 years of engineering experience in System Protection. He is active on several committees in the Western Electric Coordinating Council and is past Chairman of the North American Electric Reliability Corporation System Protection and Control Subcommittee. Jonathan has authored and co-authored papers for conferences and publications and is an active senior member of IEEE and regularly contributes to the Power System Relay Committees. Jonathan has been involved in EHV protection and control for over 15 years and established standards in EHV relaying and SPS/RAS design and implementation. Jonathan has been active in NERC and WECC standards interpretation and development and is a subject matter expert in the interpretation of various protection and critical infrastructure related standards. Date: Wednesday, June 8th, 2016. 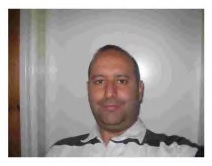 Abstract: In recent years, there have been growing interest and research efforts in the area of Vehicular Ad-hoc Networks (VANET). This is due to the ability of those networks to make an interface between the driver and the vehicle, and allow to improve the security of passengers. Even if VANETs have many advantages as easy deployment, user mobility and provide network access to users regardless to their locations, they suffer from security issues and specifically to Denial of Service (DoS). Thus, most critical problems that arise in those networks are on the resource allocations as the bandwidth is limited, the propagation (multi-path, fading, distortion) and security since communications are transmitted over radio waves. In this talk I will present issues about availability problem in those networks and architecture, new works to fix this problem will be presented as well and several directions will be given. A copy of this abstract and a brief biography for Prof Jalel Ben-Othman is given here. (1) Parameter specifications: In general, each algorithm has its own best parameter values. For fair comparison of different algorithms, it may be advisable to use the best parameter values in each algorithm. However, the same population size has always been used for performance comparison in the EMO community. This is because the comparison of solution sets of the same size is viewed as being fair comparison (whereas totally different comparison results can be obtained from a different specification of the population size). We discuss how to perform fair comparison when each EMO algorithm has a totally different best specification of the population size. (2) Performance indicators: Hypervolume (HV) and inverted generational distance (IGD) have been frequently used for performance comparison of EMO algorithms. However, comparison results depend on the specification of a reference point for HV calculation and a reference point set for IGD calculation. Moreover, IGD is not Pareto compliant (whereas HV is Pareto compliant). These difficulties of HV and IGD are explained by simple examples and through computational experiments on many-objective test problems. A simple modification of IGD is also suggested. (3) Test problems: DTLZ and WFG test problems have almost always been used for performance comparison in evolutionary many-objective optimization studies. However, they have very special characteristic features (as explained in this talk). For example, we can simultaneously optimize arbitrarily selected (m-1) objectives of m-objective DTLZ 1-4 and WFG 4-9 problems. The shape of their Pareto fronts is rectangular, which is the same as the shape of the distribution of uniformly distributed normalized weight vectors. Many mutated solutions are generated on a line between the current solution and the ideal point in the objective space. We clearly explain that those features make DTLZ 1-4 and WFG 4-9 very easy for weight vector-based EMO algorithms such as MOEA/D and NSGA-III even when they have many objectives. 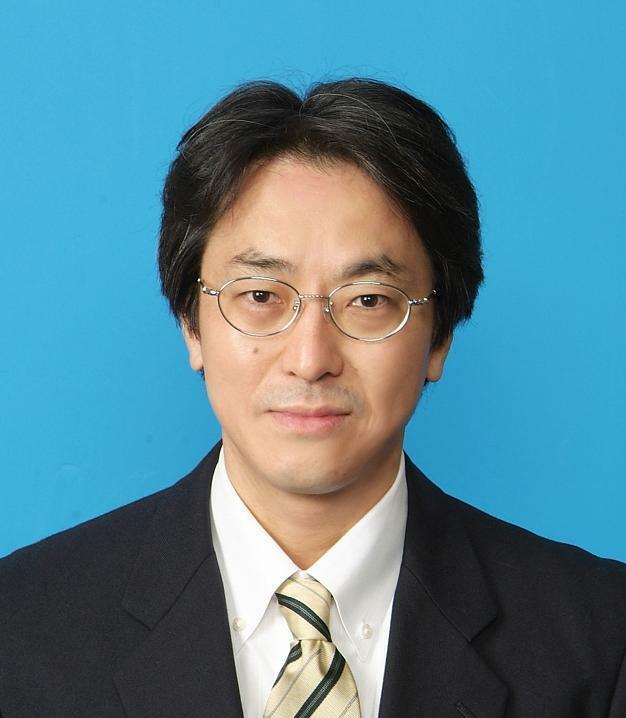 A copy of this abstract and a brief biography for Prof. Hisao Ishibuchi is given here. A detailed report with images of the event can be found by following this link.